and those are words that i intend to live by. 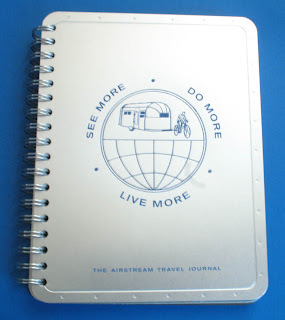 my fab new notebook is filled with hilarious vintage photos of airstreams all over the place. and i love this shot. 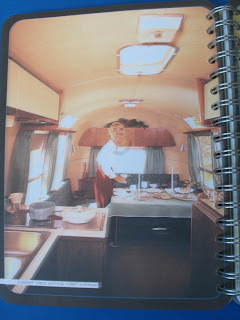 if i ever trade in my sailboat for a land yacht i will look like this, except there will be beads and jewelry all over my elegant dining table!